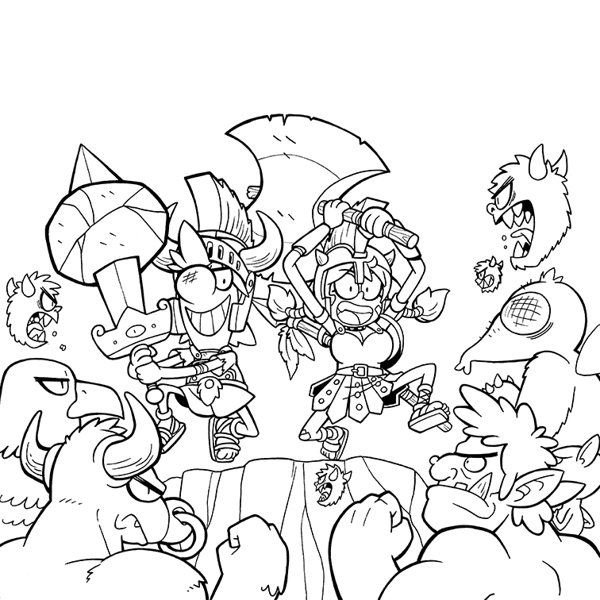 As we celebrate the 15th anniversary of Munchkin, there is at least one common theme: New art. We asked many amazing artists to reimagine the legendary work of John Kovalic, and the results have been spectacular. The variety of styles and the creative interpretations of visual gags gives each game its unique flavor. "Our typical art-approval process goes like this: Approved art specs are sent to the artist, who turns in sketches based on the specs . . . unless the artist has a different vision. We certainly look at those as well; sometimes, the artist absolutely nails it. 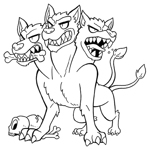 The sketches go through as many as three people for approval, and the artist then turns the approved sketches into inks. There's a similar approval process for the inks, and finally the approved inks go to a colorist. Colored inks then go through their own final approvals." As you can see, it's an involved process for every piece of the game. Cards, covers, and tokens all get approved the same way. 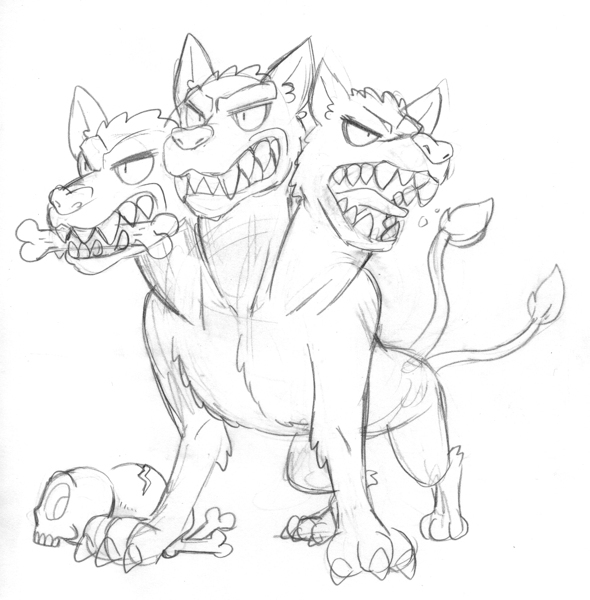 Take, for example, this art spec from Munchkin Legends: "Cerberus – Giant three-headed dog who guards the underworld. Each mouth can have a different bone in it (skull, rib cage, pelvis, femur, whatever). It should not look cute in the slightest." The artist gets this instruction and goes from there. During each approval, it may get sent back for modifications, but artists tend to have their own visions, and the Guest Artist Edition series is meant to show them off. 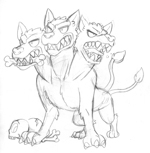 The sketches in this article come from Munchkin Legends Guest Artist Edition, by Mike Luckas. 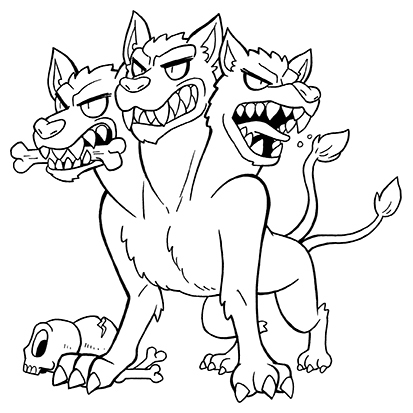 As you can see, this art started fairly close to where the final inks ended up. So the approval process doesn't always involve major, sweeping changes. There may be smaller tweaks here or there, though. We hope you enjoyed this look behind the scenes. 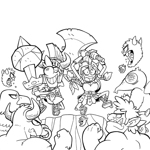 Be sure to pick up Munchkin Legends Guest Artist Edition, or any of the games in the series, to see the fruits of all this labor. Thanks to all the artists who made these games great!